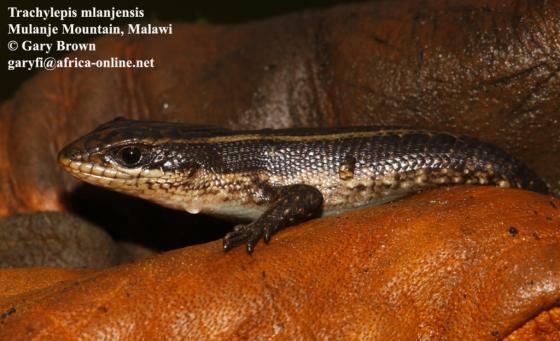 Can you confirm these amateur observations of Trachylepis mlanjensis? 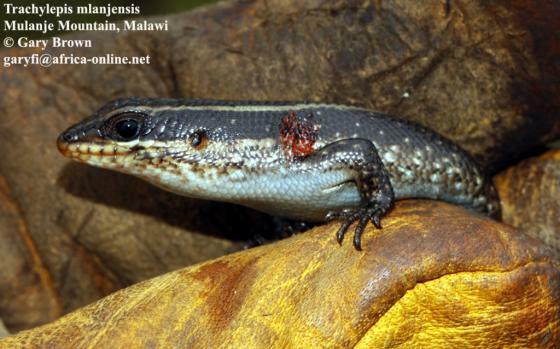 Distribution S Malawai (Mulanje Mountain; Dedza Mountain on the western side of the rift valley). 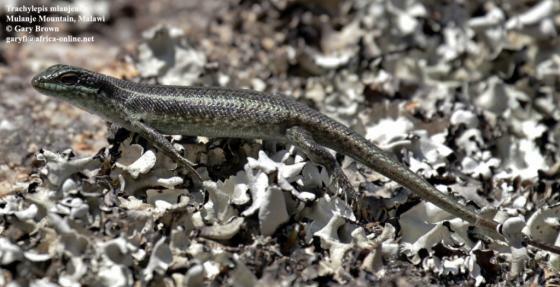 Type locality: Lichenya Plateau, 6000 feet, Mlanje Mountain, Nyasaland [= Mulanje Mountain, Malawi]. 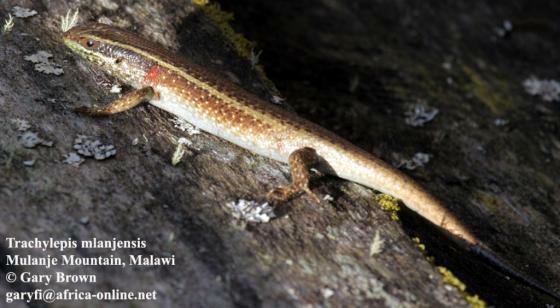 Comment Sympatric with M. striata at the foot of Mulanje Mountain. 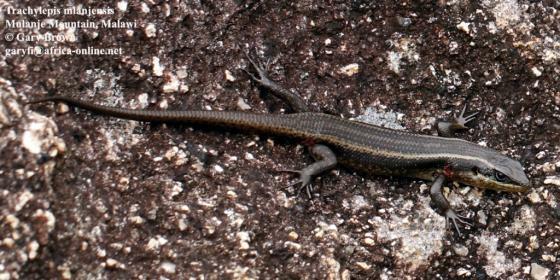 Removed from synonymy with M. striata punctatissima by BROADLEY 2000.